Is the pan still on? no the pan is off... it is surfaced barely 2mm.. there is a bit there, maybe enough to cut across and use a flat head but i dont know what ill do if it strips or if i hit the case with the dremel or hack saw blade... the drill option was pretty good too but i can try that after the flat head screwdriver option i think? also, where do i get another bolt to replace that pan screw ..? Prepping the loadout for the big ride. Metal seat pan edge is very corroded, chrome trim fasteners are trash. Good thing I have a few months! Not impossible, but when I’m done there will be DAYS invested! Been there, done that, doing it again! Today I finished making rear sets on the 550.They only move the pegs back a couple of inches but that is all I wanted. I cut the stock pegs off and turned the mounts around so they point to the back. Then I welded on a set of pegs from an 82' Honda V4 Sabre with a built in shifter. The arm and shift linkage line up really good and I bent and shortened the brake pedal. I am currently working on how I want to do the seat and tail. Ordered a set of front and rear wheel bearings. The rears will go into the Lester I pickup for my 750F last year. The wheel has supposedly never been mounted on a bike and as best as I can tell this is the truth, the wheel shows no evidence of use. With 0 miles on it one would think the wheel bearings are fine, but I have decided to replace them anyway. 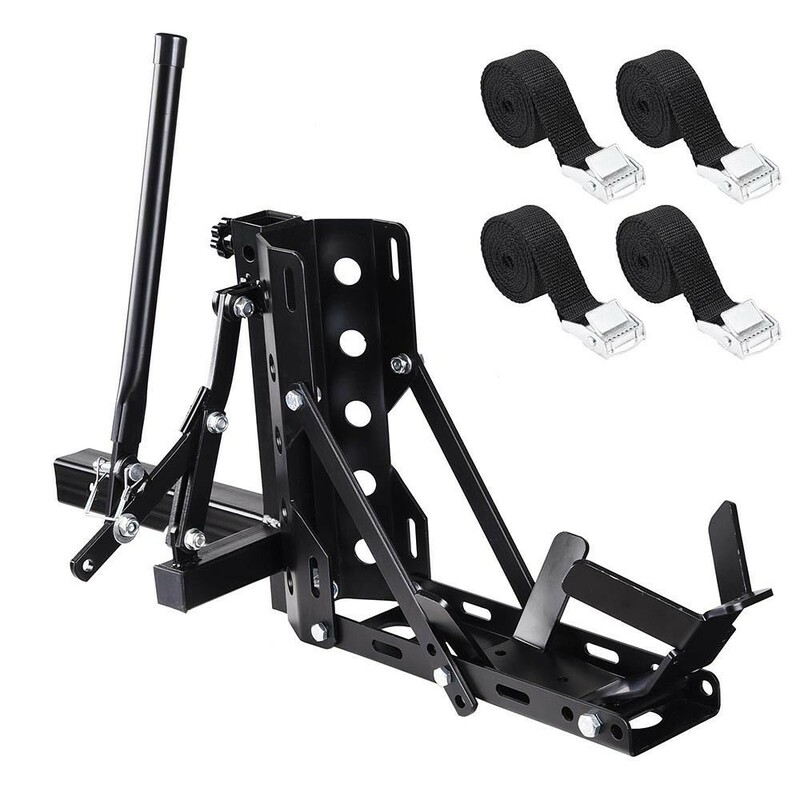 I picked up the front/rear set but I don't know if I will use the font right now. The front Lester I'll be using is the one that was on my 550 and I put 6,000 miles on that bike with no indication of issues, so I'll just add the front bearings to my parts bin and if I ever need them they will be handy. Today I installed a kickstand from an 84' to 86' CB700SC Nighthawk because the knob on the stock one is in the way of my foot when upshifting after moving the pegs back 2". It is about a 1/4" longer than the stock one, is straighter and has the rubber foot. It is a bolt on change and looks totally stock. 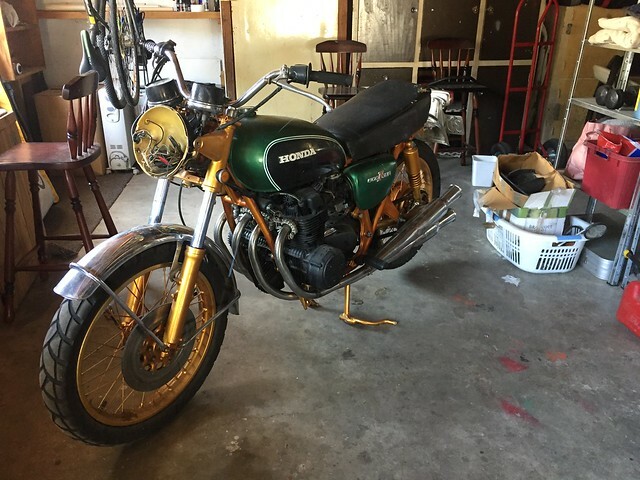 Regrettably, I sold my cb500 project. It really wasn’t too far off going through the process to get it warranted and registered to get back on the road, but I really don’t have the time to finish. My wife and I just had our first child(boy), and I know I won’t have the time. I sold it so I can get a little commuter to go to work and back on and small rides to neighboring towns. Sad to let it go, but now I get to shop for another bikei! Put my 16 rear on. Well it was as near to a perfect day as it could be today. I woke up and remembered that I'd promised to take my son Tim over to the Royal Enfield dealership to test ride the new 650 twins, as Tim wants to buy a new bike. We'd had a look at them at the "Moto Expo" show a couple of months ago, and both agreed that they looked the goods, and for less than $10K (AUD, or say, $7100 USD) "Ride away, no more to pay", you can't complain about the price. 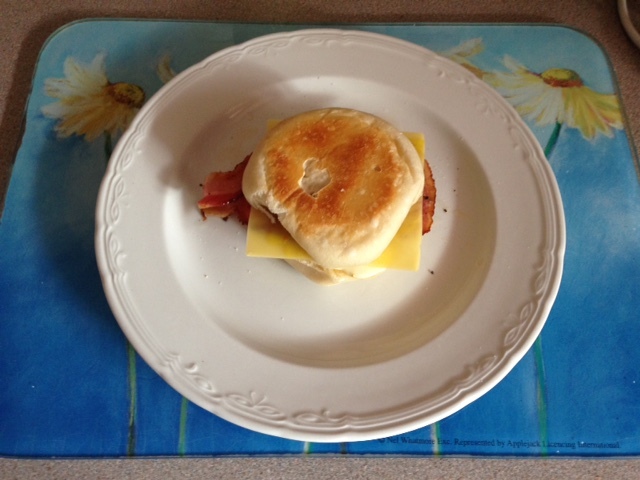 I had a healthy egg, bacon and cheese "Banjo" for breakfast with my coffee, then off we went. There are two new models, the Interceptor and the Continental GT. Both have the same spec 650 twin engine which is tuned for "mild", rather than "wild", but is a lovely smooth torquey lump, which has enough power to get you out of trouble, but not enough to get you into trouble, especially, if like my son Tim, you're new to riding. The salesman, Andrew was keen to come for a ride with me, so we both jumped on a bike each, and took off. Andrew told me afterwards that he hadn't ridden one yet, and he was just as impressed as I was. My first ride was on the Continental GT. 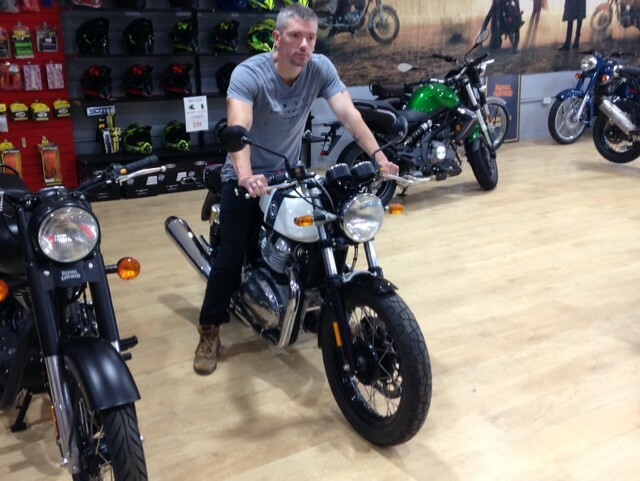 I found it easy to ride, the riding position is "1970's cafe Racer", i.e., sporty but not stupidly uncomfortable, with a nice comfy seat, and footpegs in the right position. The Brembo brakes were great, the suspension nice and compliant, the frame (made by Harris Performance in England, now owned by Royal Enfield) was as stiff as you'd expect from a quality manufacturer. I loved it. We did a 10 mile circuit that involved some city streets, some freeway, and some country backroads with heaps of tight bends. It did everything perfectly, no doubt helped by the Pirelli Phantom tyres that Pirelli have apparently re-released just for the new RE 650's. I then jumped on the Interceptor, and we did it all again. To me, the Interceptor is the pick of the two, nice upright riding position which makes it easier for me to look around in traffic, and I think it'd be slightly comfier on a long ride, but really, they're both great bikes. 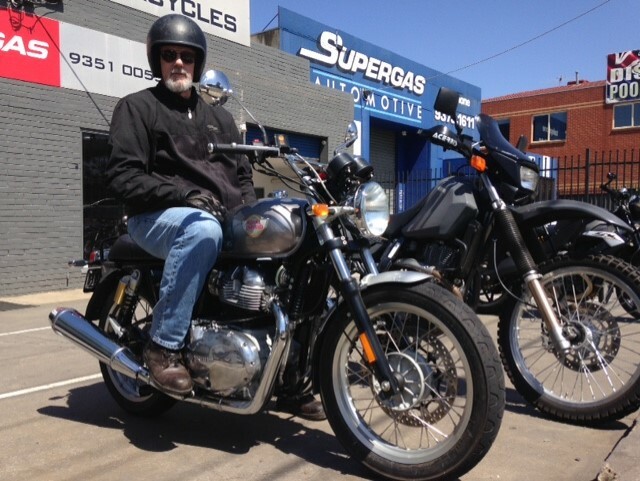 While Tim was happy for me to do the test riding around busy Melbourne streets, he was happy to take my word for it, and before we left he put down a deposit on a black and gold Continental GT. Looking at all the RE single cylinder bikes (I was hoping that they'd have an original RE Continental GT 535 single to take for a ride, but now that they're out of production, they're pretty hard to find) I had a hankering for a ride on a big single, so Tim and I drove over to the storage place and dragged my 1983 Honda XR500RE back home. 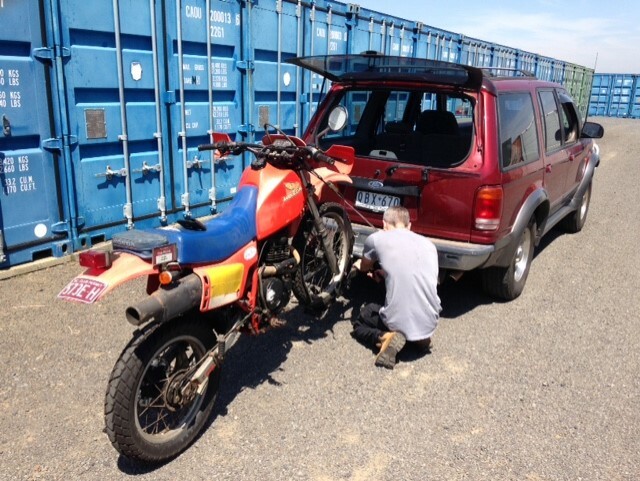 The old XR hasn't seen daylight in 4 years, the front tyre had gone flat, but the big ticket items I need to fix are the leaking engine seals, and fuel tap. The fuel in the tank has leaked past the knackered petcock and washed thru the engine and dumped watered down engine oil out of the engine breather, I just hope the engine hasn't seized over the time it's been in storage, stinking up the 20 foot shipping container it's been living in. I guess I better go out and start doing something, it's cooled down somewhat now. Give the poor kid one of those old CB750's Terry or does he not like riding old iron. I think my son was 18 when I turned him loose on one but he had to ride with me back then ! He 'borrows' my 1200 Bandit once in awhile nowadays which make me kind of nervous. Good times riding with one of your kids. Terry what is the front tire of that XR attached too? I'm liking the looks of those Enfields Terry. Please send more pics from different angles and more ride report info. Picked up the barrels, +.5 and a bit of JB weld to the fins. 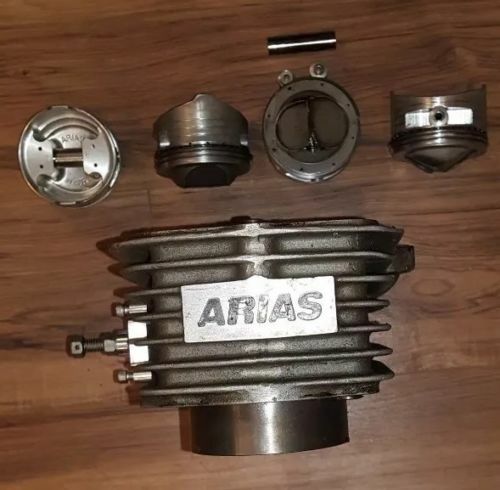 Anyone need some barrels that need to go out to .75 and 8 standard pistons? Walked by mine and contemplated how to best remove the crush washers stuck firmly in my cylinders. Never done it before. 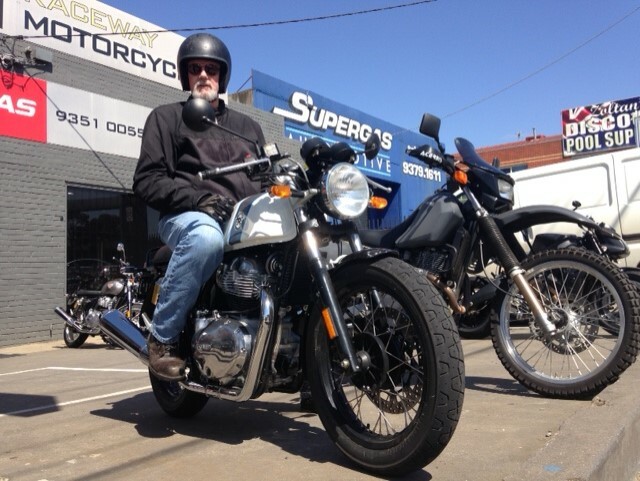 Ha ha, thanks Eric, I think the Royal Enfield is a better fit for Tim than a CB750, it's lighter and slower, but handles way better, and the brakes actually work! Yes I want one too, but I'll need to sell a couple bikes before I can afford one, and I can't bring myself to sell any of my bikes. I'm still miserable after selling my BMW R1100GS just before Christmas, even though the money came in handy to pay my tax bill and buy $1500 worth of parts for my "Mad Max" project bike. Fred, check this site out mate, there's a video of a guy doing 172 Kph (107.5 MPH) on an interceptor, which is plenty fast enough, Tim should be able to stick with me if I'm on my CB750 or Sportster, not that I'll do anything to put him in danger anyway. They're a great bike mate, some are saying that they're already hurting Triumph Bonneville sales, I was talking to "Old Jim" (as Tim referred to him) at the shop, he's 75 and just bought a new RE 650 without even taking it for a test ride, he traded his big ugly-arsed Victory for one, he first went to Triumph and they wanted $17500 for a new Bonneville, and apparently the RE shop just swapped him a new 650 Interceptor for his Victory with 40,000 miles, which made him very happy. His doctor had told him to stop riding bikes due to shoulder problems, but he reckons the RE will be a much easier ride than his Victory. 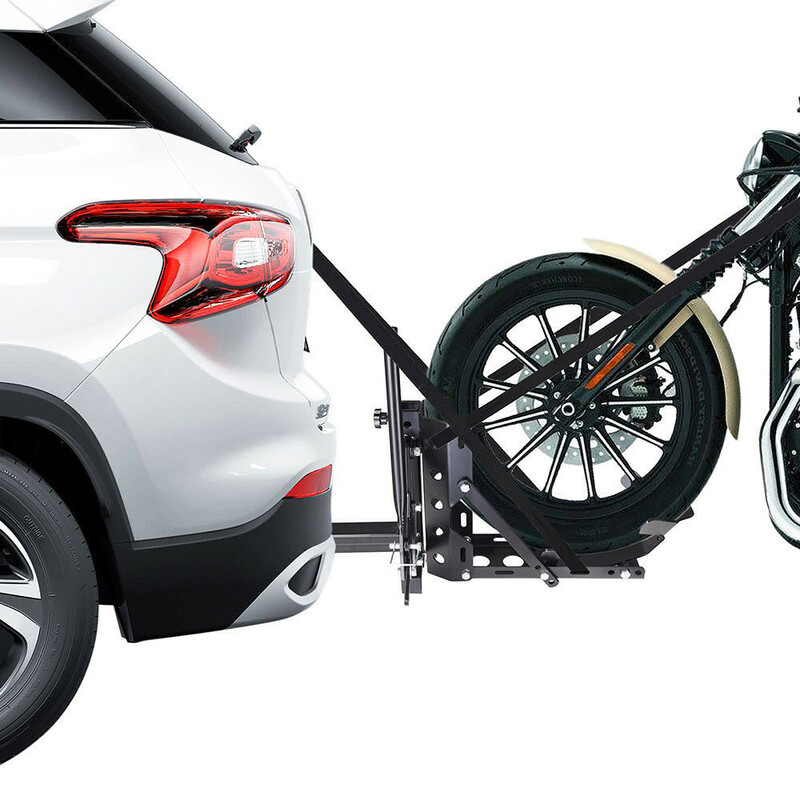 Gurp, I bought a Motorcycle Tow Hitch thingie on Ebay a few years ago which replaces the tow bar on my old Ford Exploder. I've only used it to move my bikes to and from the storage place a few miles from my house so no idea how well it'd work on a long trip, but I've had no issues except with my old K1 where the handlebar clamp was a bit loose and the handlebars rotated causing the tie-downs to loosen and the bike to fall over when I was going thru a roundabout and disappear from my mirrors, luckily enough the bike didn't fall all the way over and do any damage. My adrenalin was such that I was able to stand the bike up and tie it back down for the rest of the uneventful trip to the storage place. Yeah mate, thats the one I want! Cheers, Terry.